Any significant new development is likely to attract keen local interest. An essential tool these days for effective communications and constructive ongoing public relations is a high-quality website that is easy to navigate, read and understand. We help clients create a website that explains the development proposals and provides a platform for local people and other stakeholders to see accurate information, get answers to questions they may have about a project and ask the project team questions. The community consultation team – Iain Vellacott and Althea Taylor-Salmon – project manage the development of the consultation website from start to finish, creating the site plan and brand, writing the content and steering the build; often to quite tight deadlines and budgets. 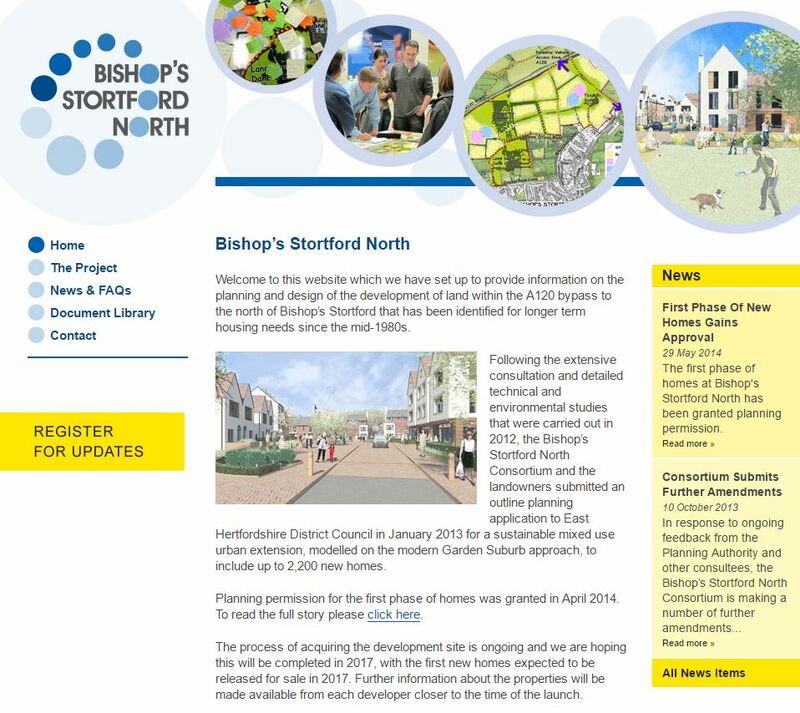 Once the site is live, we manage the content, ensuring that residents have the latest information available.